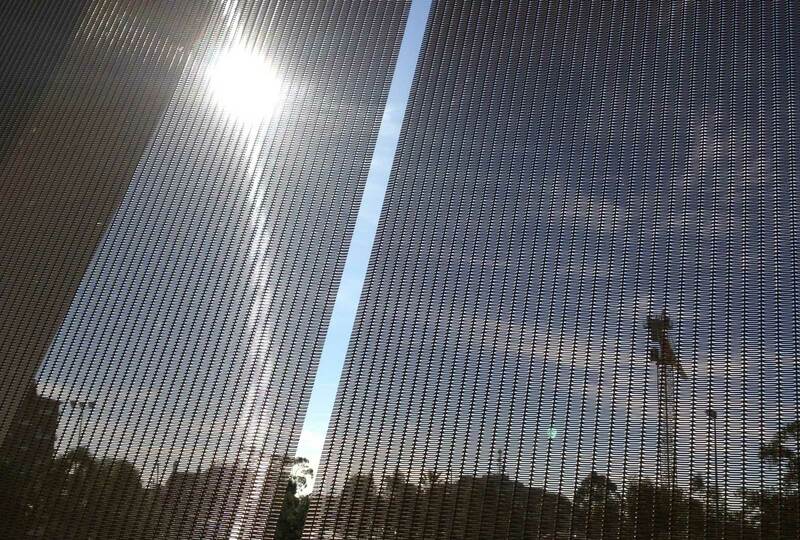 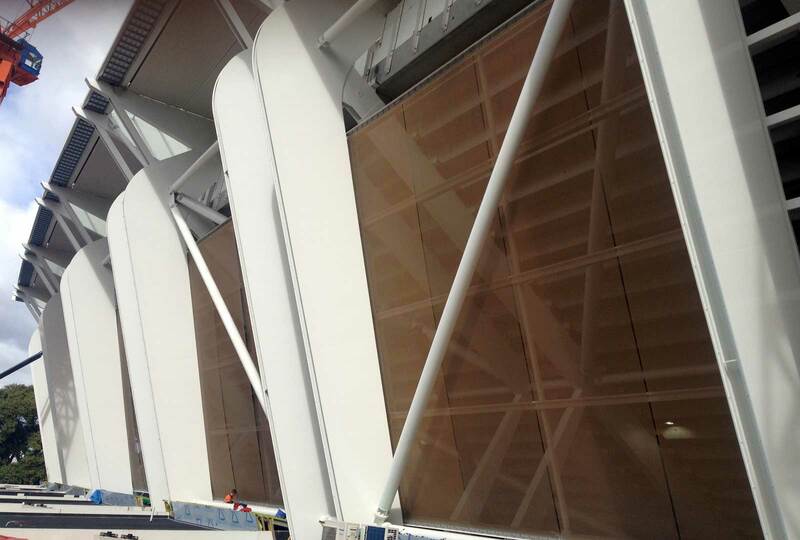 Augen Design undertook the contract for the supply and installation of the GKD Omega Bronze woven mesh screens. 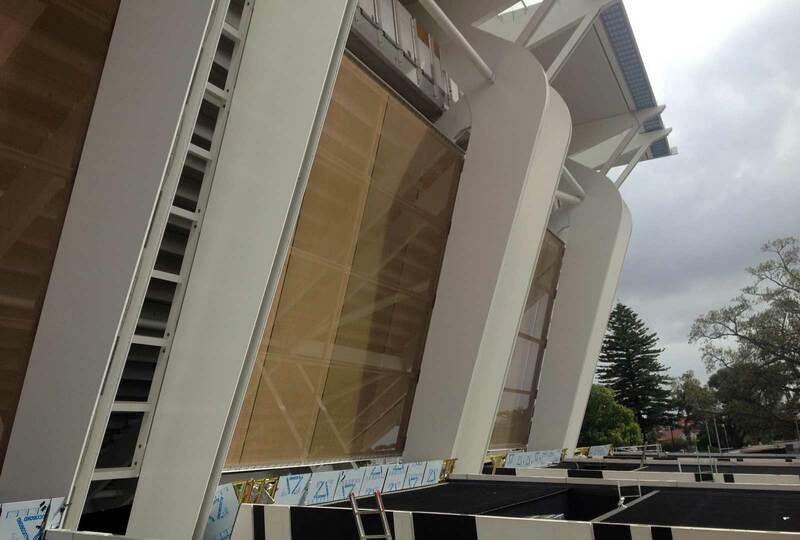 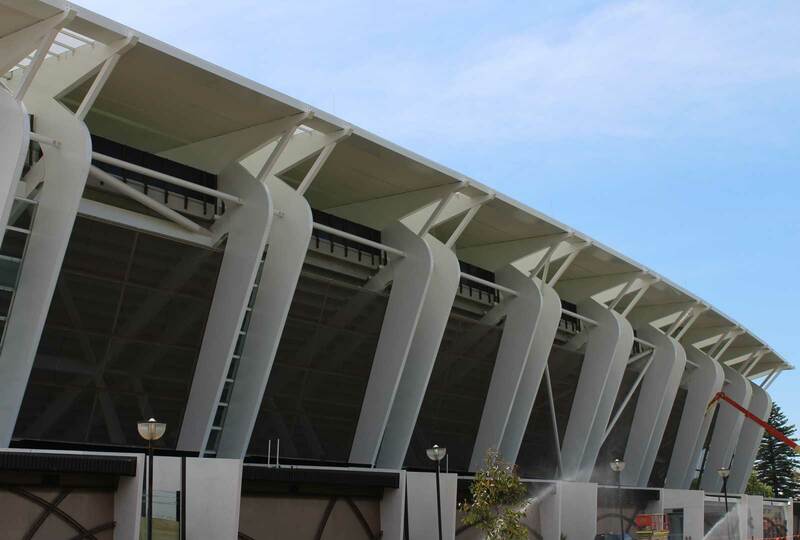 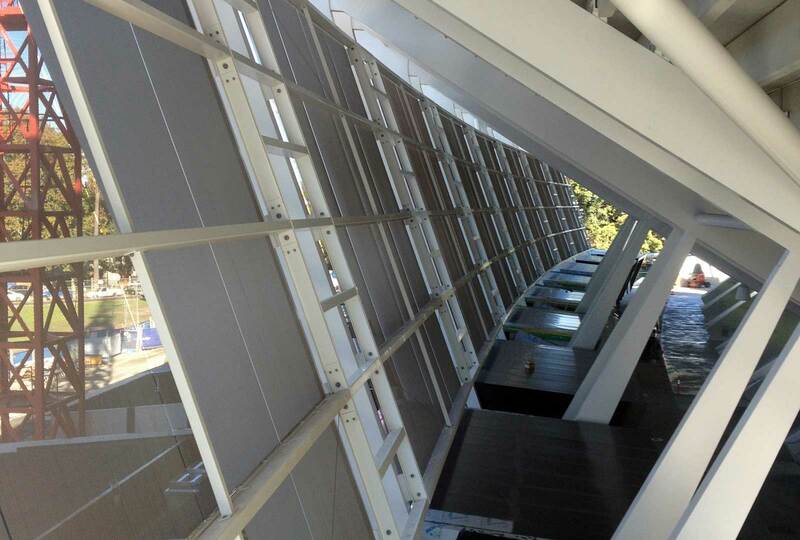 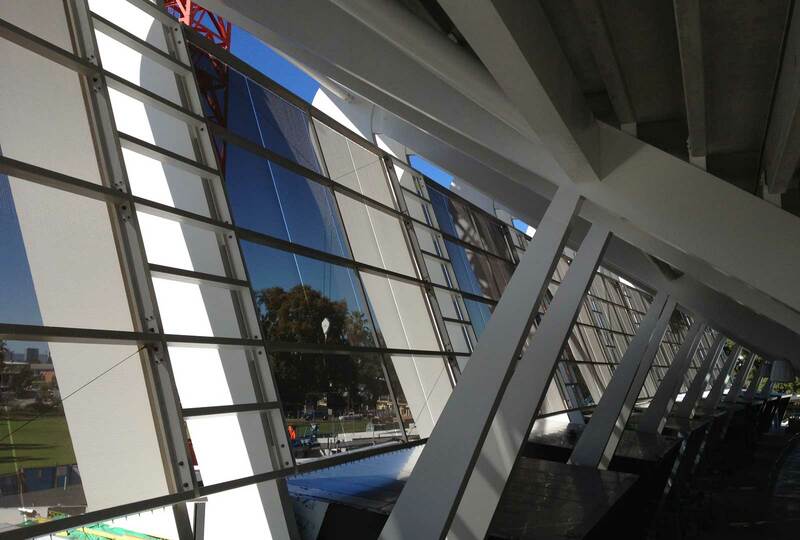 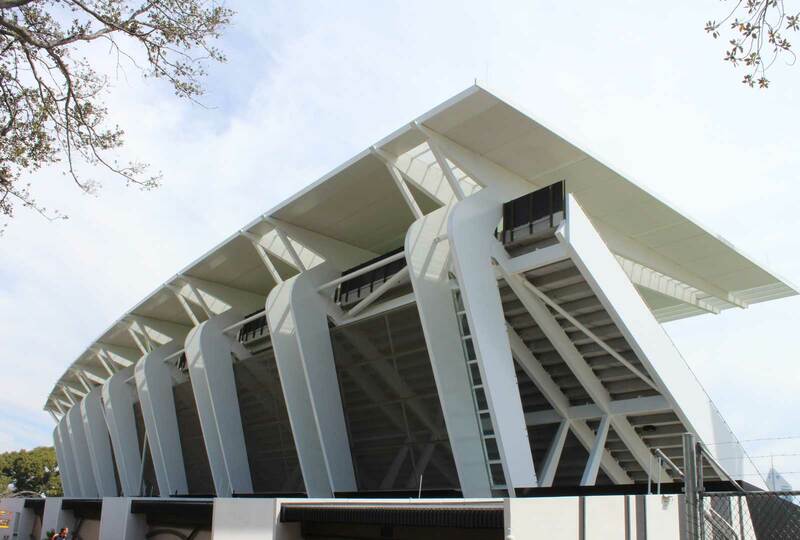 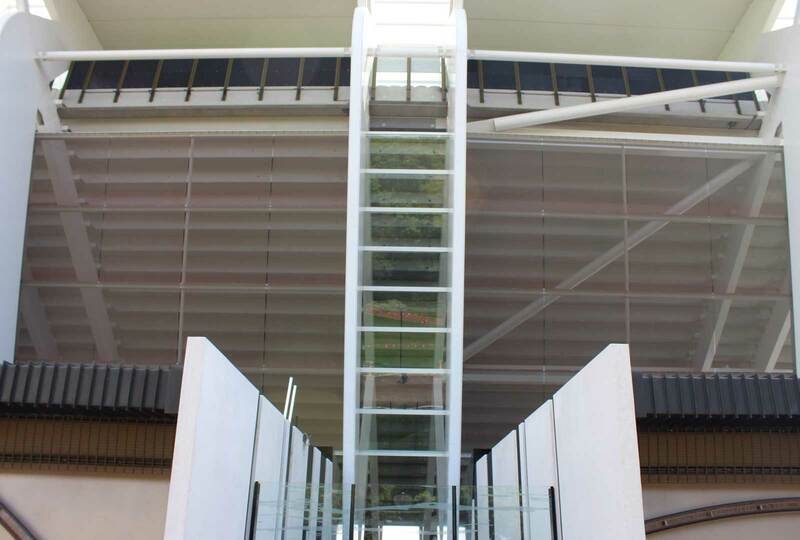 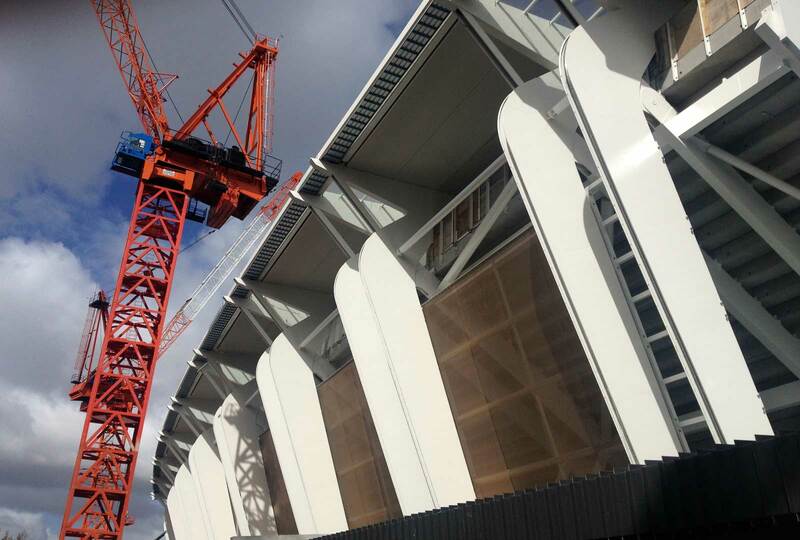 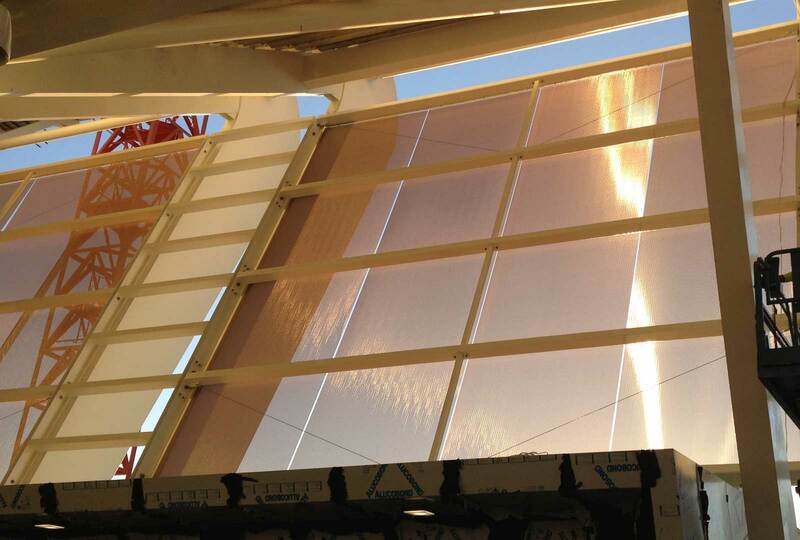 The feature screens are installed to the complete back of the Perth Rectangular Stadium PRS grandstand, currently referred to as the NIB Stadium. 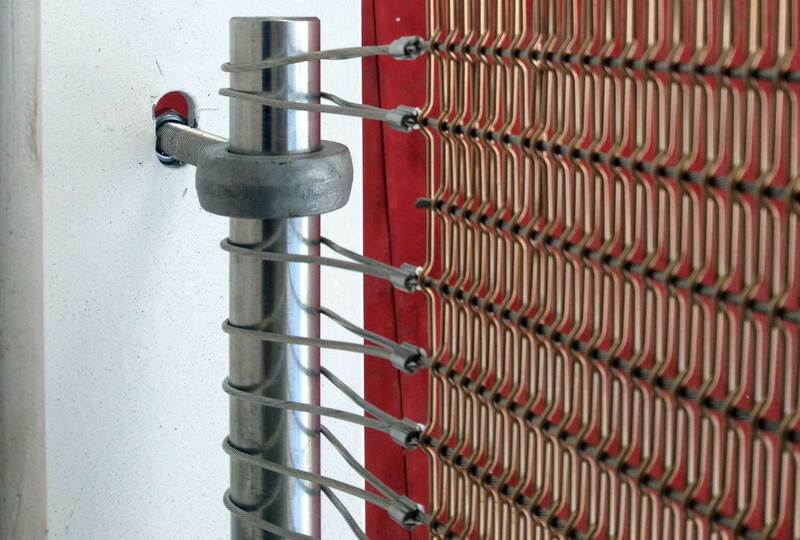 Augen redesigned and developed the project specific fixing method, which was laser cut from pure brass. 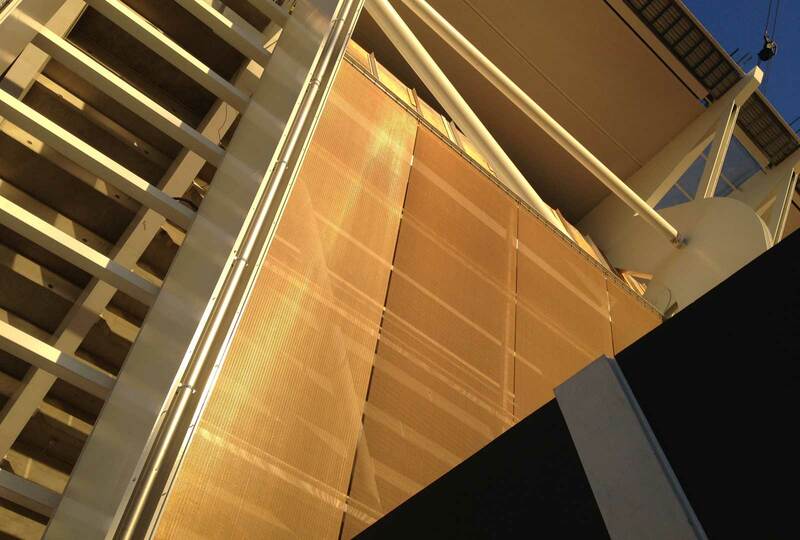 Not only was this project unique, it was logistically challenging due to access and difficult due to the inverse angled installation. 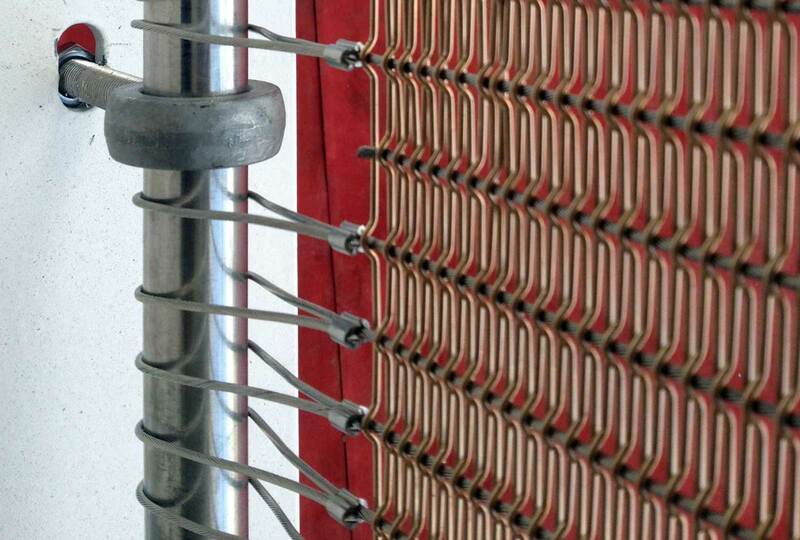 Augen designed an engineered lifting jig to assist and successfully achieve the difficult installation.